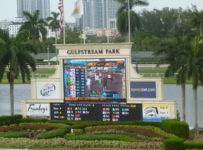 Gulfstream Park has a 13-race Sunday card that had first post at 1:00 p.m.
Tampa Bay Downs has 10 races on its Sunday card, that had first post at 12:44 p.m.
On Sunday evening and on Monday, we will have reports on the weekend’s racing and on upcoming races at both tracks as well as on developments along the Kentucky Derby trail. 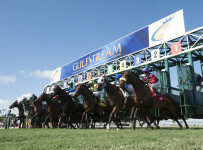 *The Gulfstream Rainbow 6 carryover has grown to $3,620,485. 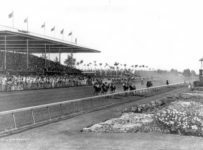 On Sunday, it will be on races eight to thirteen with the sequence scheduled to start at 3:31 p.m. 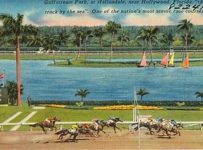 The carryover has grown because Gulfstream has gone 35 straight race days without the jackpot/carryover payoff requirement of just one ticket with the winners of all six Rainbow 6 races. 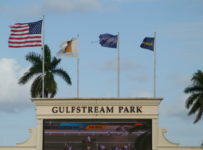 We are hearing reports that Gulfstream will pick Saturday March 31 as a mandatory payoff date for the Rainbow 6—regardless of the number of tickets with all six winners. 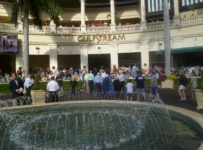 That is Florida Derby Day. 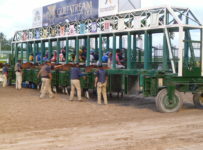 If the carryover continues through then, it could be in the $5 million range. In that case, betting on the Rainbow 6 could be in the $20 million range. Add that to the day’s other expected betting of $30 million, and Gulfstream would have handle in the $50 million range-which would be its highest ever except on days when it held the Breeders’ Cup. 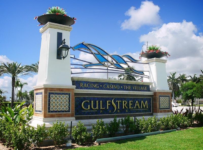 Gulfstream’s highest non-Breeders’ Cup handle was $41,983,882 which it set on Jan. 27, 2018 with a card topped by the Pegasus World Cup Invitational (Grade 1). 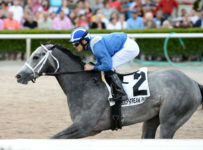 *On Saturday, Ivy Bell beat Jordan’s Henny by a length in the $200,000 Inside Information (Grade 2) at seven furlongs on dirt for fillies and mares 4-years-old and up. It was the first graded stakes win for Ivy Bell, in her first race at Gulfstream and first since being transferred to trainer Todd Pletcher. 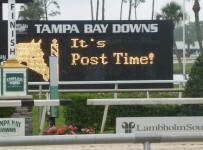 *Tampa Bay Downs is preparing for next Sunday, March 25, when it will have its annual Florida Cup Day. 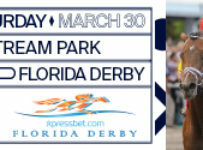 It will have six stakes race, all with $100,000 purses and restricted to Florida breds. *Magnum Moon remained undefeated through three career starts as he beat Solomini in the $900,000 Rebel Stakes (Grade 2) for 3-year-olds at Oaklawn Park in Hot Springs, Ark. The win gave Magnum Moon 50 Kentucky Derby qualifying points and assures him a spot in that 1 ¼ mile race that will be run on May 5 at Churchill Downs in Louisville, Ky.
With Luis Saez riding, Magnum Moon won the 1 1/16 mile dirt race in 1:42.66 on the dirt track listed as fast. 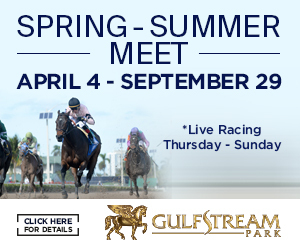 Magnum Moon’s two previous races were at Gulfstream, with Saez as the jockey. Pletcher trains several other horses that likely will run in the $1 million Florida Derby (Grade 1) at 1 1/8 miles at Gulfstream on March 31. 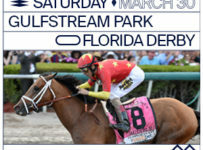 That list includes Audible, the winner of the 1 1/16 mile Holy Bull (Grade 2) at Gulfstream on Feb. 3.